Sepengetahuanku, 'Tengku Mahkota' atau 'Tunku Mahkota' (Crown Prince) merupakan satu jawatan yang diwujudkan di istana negara/negeri yang diperintah secara Monarki (Monarchy) sebagai satuu jawatan'Bakal Raja'. jawatan ini turut wujud di negara-negara asing seperti Jepun, Arab Saudi, Jordan, UAE, Britain, Sepanyol, Belanda, Belgium dan lain-lain. 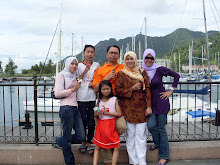 Kalau di negara barat, bakal raja ini tidak terhad kepada anak lelaki tetapi terbuka untuk 'anak sulung' tanpa mengira lelaki atau perempuan. Di Malaysia, sebuah negara yang paling banyak 'Raja' di dunia, jawatan bakal raja ini menggunakan pelbagai nama seperti Tengku Mahkota (untuk Johor, Pahang dan Kelantan), Raja Muda (untuk Selangor, Perlis, Kedah dan Perak), Yang di Pertuan Muda untuk Terengganu manakala Negeri Sembilan pula menggunakan kaedah lain. 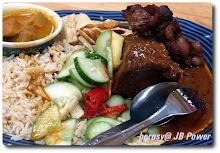 Untuk cerita yang ni, bacalah blog saya di bawah tajuk 'Raja-raja Melayu'. Kali ni kita nakkenal dengan Tunku Mahkota Johor saja. Tunku Ismail ibni Sultan Ibrahim DK SPMJ SMJ PIS is the new Tunku Mahkota of Johore. His full name is Tunku Ismail Idris Abdul Majid Abu Bakar Iskandar ibni Sultan Ibrahim Ismail. 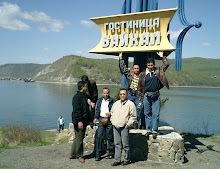 He was born on 30 June 1984. Tunku Ismail is the eldest son of the current Sultan of Johor, Sultan Ibrahim ibni almarhum Sultan Iskandar and his consort Sultanah Zarith Sofia ibni almarhum Sultan Idris al Mutawakil Alallahi Shah Afifullah. 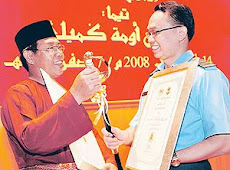 Tunku Ismail was appointed Raja Muda on 8 April 2006 by his grandfather, the almarhum Sultan Isandar Alhaj, the Sultan of Johor then, and placing him second in line to the throne. 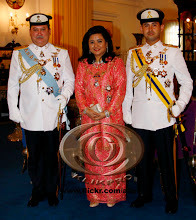 After the proclaimation of his father as a new Sultan of Johor(21 jan 2010), Tunku Ismail was appointed as the Tunku Mahkota of Johor on 28 January 2010. 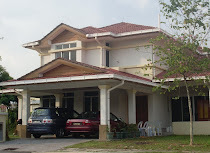 Tunku Ismail completed his early education at Sekolah Sri Utama and Sekolah Rendah Kebangsaan St. Joseph in Johor Bahru. 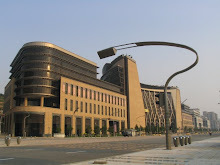 He subsequently received secondary education at the Australian International School in Singapore and pursued his higher studies at Hale School, Perth, Australia till 2002. Following a family tradition of getting trained in Armed Forces, with his grandfather in the Malaysian Army and father in the US Army, Tunku Ismail aspired for a career in the Indian Armed Forces. In July 2003, he enrolled as a cadet officer in the Indian Military Academy(IMA), India's premier military training school located at Dehra Dun. He was commissioned as a Lieautenant in December 2004 and absorbed into the Indian Army. He was promoted to the rank of Captain in December 2007. 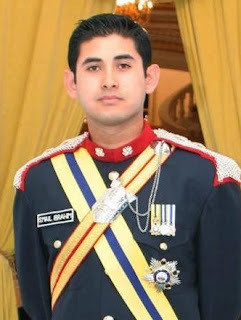 He is the first ever Malaysian royal to join the Indian Armed Forces. The Malaysian prince is the first foreigner to lead a unit of Indian Army in the Indian Republic Day Parade. On 26 January 2007, with a rank of Captain in Indian Army, he led a mounted column of Jaipur based 61 Cavalry regiment to salute President of India, Dr A P J Abdul kalam during the Republic Day celebrations. The President himself chose Tunku Ismail to lead the unit of around 400 men of the world's only non-ceremonial horse-mounted cavalry. The parade was witnessed by chief guest of the day President Vladimir Putin of Russia along with other dignitaries of Indian politics and military amidst tight security. A polo enthusiast, Tunku Ismail is a skillful horse rider. 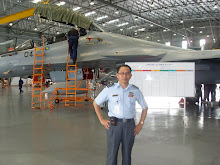 He was bestowed the Best in Riding award among IMA cadets for year 2003-2004. He is also a polo player for his regiment and has won many trophies. The prince is also a sports car enthusiast. He currently drives a Mustang Shelby GT500, but also has a Cadillac CTS V, Chevrolet Corvette and Dodge Challenger R/T. 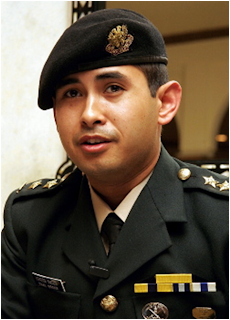 JOHOR BARU (8 April 2006) : The Tunku Mahkota of Johor’s eldest prince Tunku Ismail Idris Abdul Majid Abu Bakar Iskandar Ibni Tunku Ibrahim Ismail has been appointed Raja Muda Johor. The Raja Muda was appointed in conjunction with the Sultan of Johor, Sultan Iskandar’s birthday yesterday. The appointment and investiture ceremony were held at the Istana Besar here. 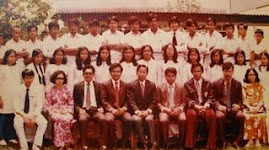 He was also conferred the Darjah Kerabat Johor Yang Amat Dihormati Pangkat Kedua (DKII). JOHOR BARU: The Raja Muda of Johor, Tunku Ismail Idris ibni Sultan Ibrahim, 26, was proclaimed as the Tunku Mahkota of Johor on Thursday. The proclamation, made in accordance with the Johor State Constitution 1895, was made by his father, the Sultan of Johor Sultan Ibrahim, at Istana Besar here at 3.20pm. "Upon my proclamation as the Sultan of Johor, I now have the rights and responsibilities under the Johor State Constitution to choose and appoint an heir with the title of Tunku Mahkota of Johor. "In discharging my duties under the Johor State Constitution 1895, I, Sultan Ibrahim ibni Almarhum Sultan Iskandar, the Sultan and Ruler of Johor and the regions under it, hereby choose and appoint Duli Yang Maha Mulia Tunku Ismail as the heir to the throne of Johor and will assume the title of Tunku Mahkota of Johor," he proclaimed. The proclamation was soon followed by Tunku Ismail expressing his gratitude to Sultan Ibrahim for appointing him as the heir to the throne of Johor. In the proclamation, which was witnessed by members of the royal household, Tunku Ismail also pledged his loyalty in discharging his responsibilities. 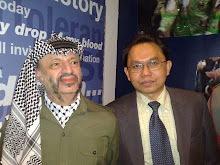 Johor Islamic Religious Council advisor Datuk Nooh Gadot recited the prayers at the conclusion of the ceremony. Also present were Deputy Prime Minister Tan Sri Muhyiddin Yassin, Mentri Besar Datuk Abdul Ghani Othman, state executive council members, assembly members and government officials. Tunku Ismail took over the Tunku Mahkota of Johor title from Sultan Ibrahim who was appointed the Sultan of Johor on Saturday following the death of Sultan Ibrahim's father, Sultan Iskandar, on Friday. Born on June 30, 1984 in Johor Baru, Tunku Ismail is the eldest child of six born to Sultan Ibrahim and Raja Zarith Sofiah. 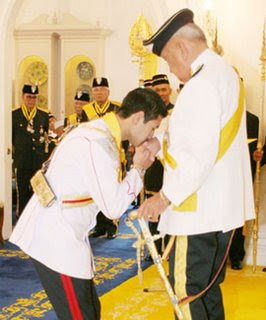 Tunku Ismail was appointed the Raja Muda of Johor in conjunction with the birthday of Sultan Iskandar on April 8, 2006. Tunku Ismail created history by being the first foreigner to lead the Indian armed forces team during the country's independent day parade on Jan 26, 2007.